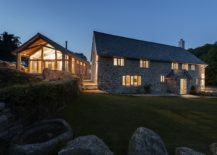 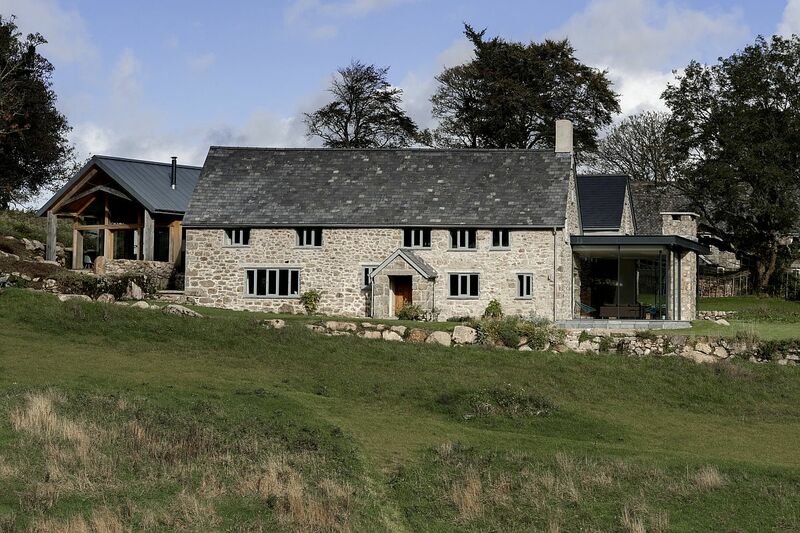 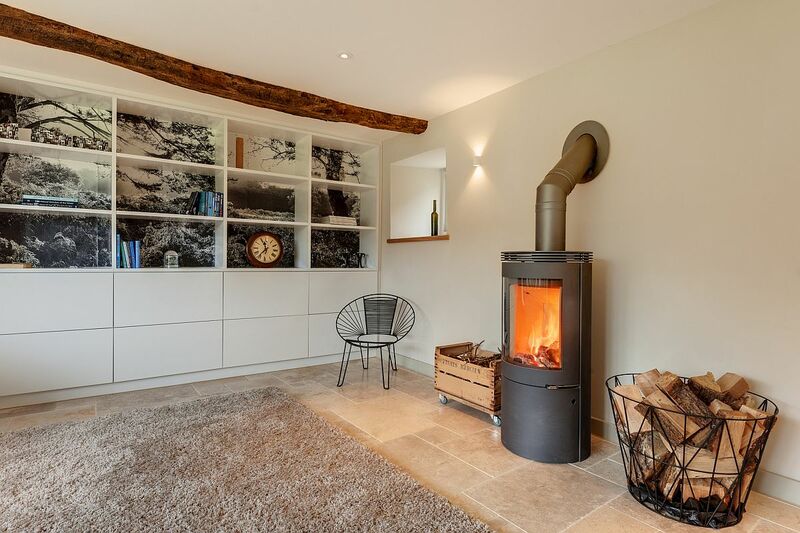 Set in the confines of Dartmoor National Park, United Kingdom, the West Yard Farm in its latest avatar is a wonderful blend of the old and the new. 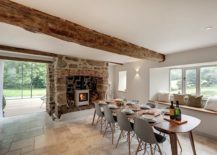 Designed by Van Ellen + Sheryn, the stunning 18th century farmstead was refurbished and extended to accommodate the needs of a modern family. 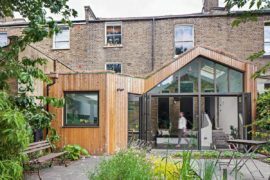 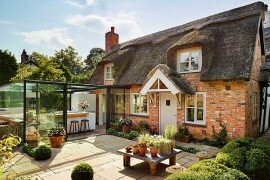 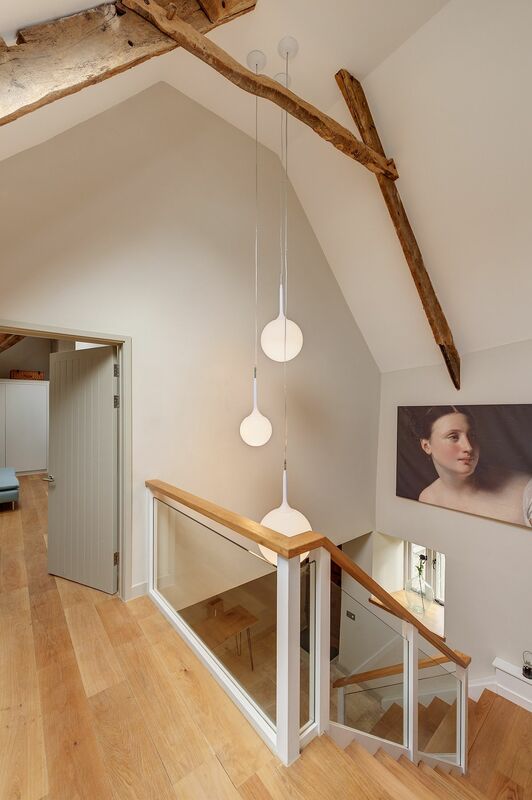 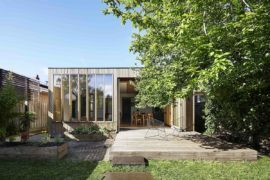 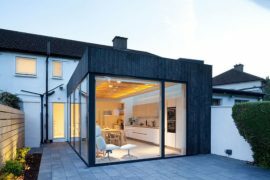 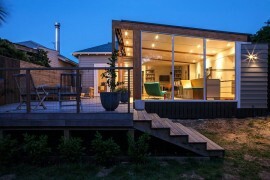 The new contemporary extension in timber and glass is at the heart of the project that aims to revitalize this historic structure, even while preserving its original aura and creating interiors that stay true to the rustic backdrop! 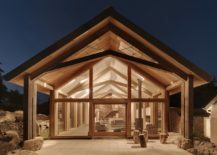 Set in an idyllic 60-acre valley, the new building acts as a transitional zone between the original farmhouse and the converted bar. 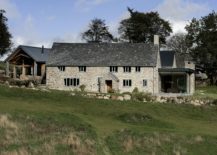 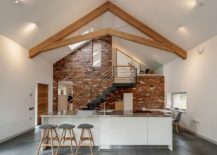 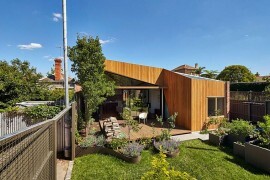 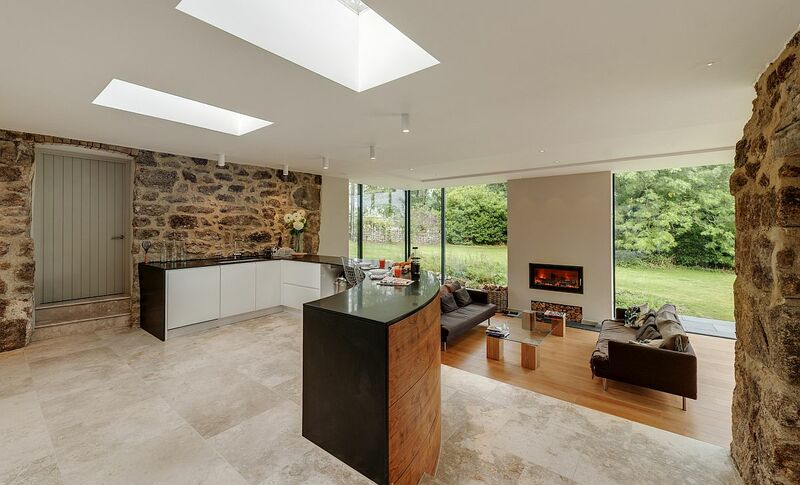 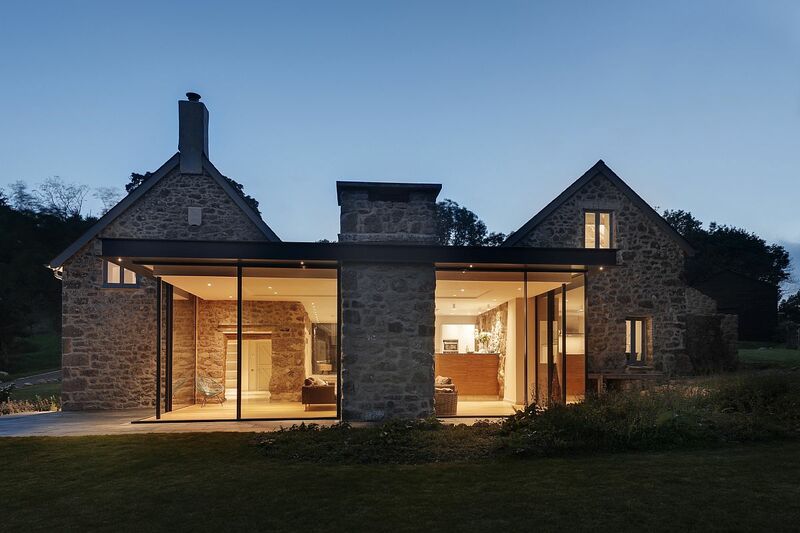 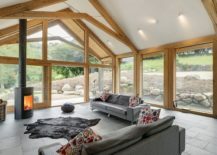 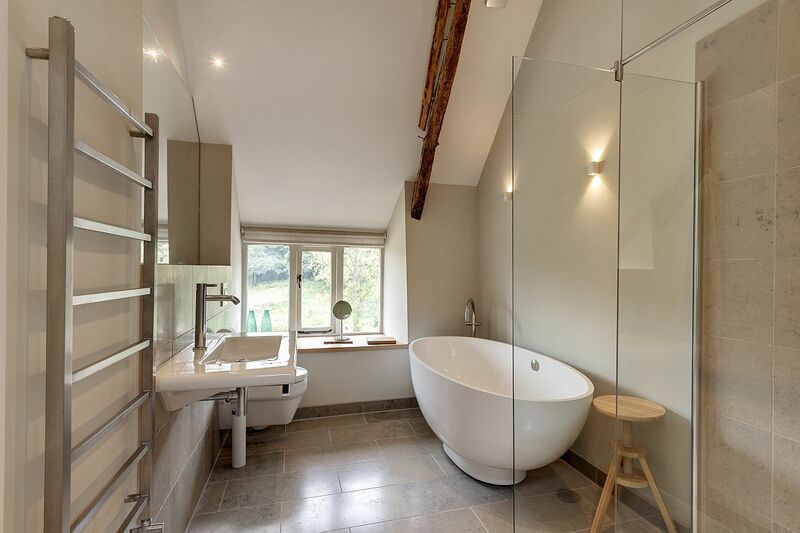 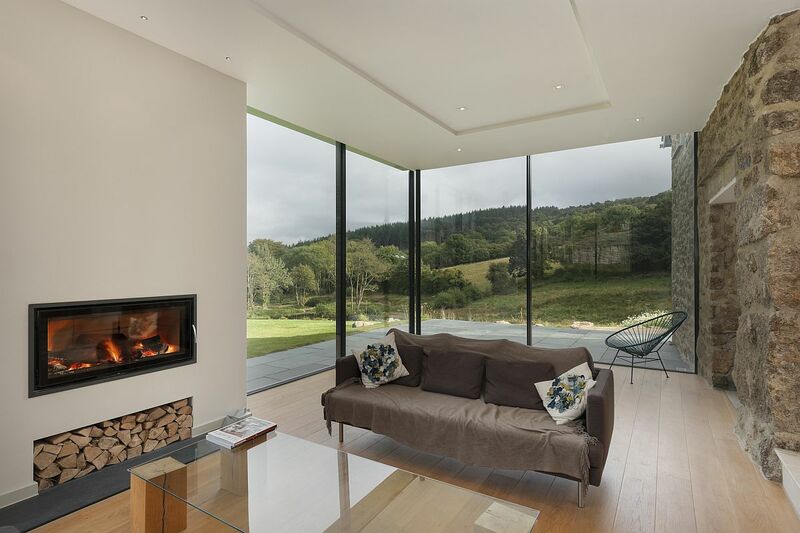 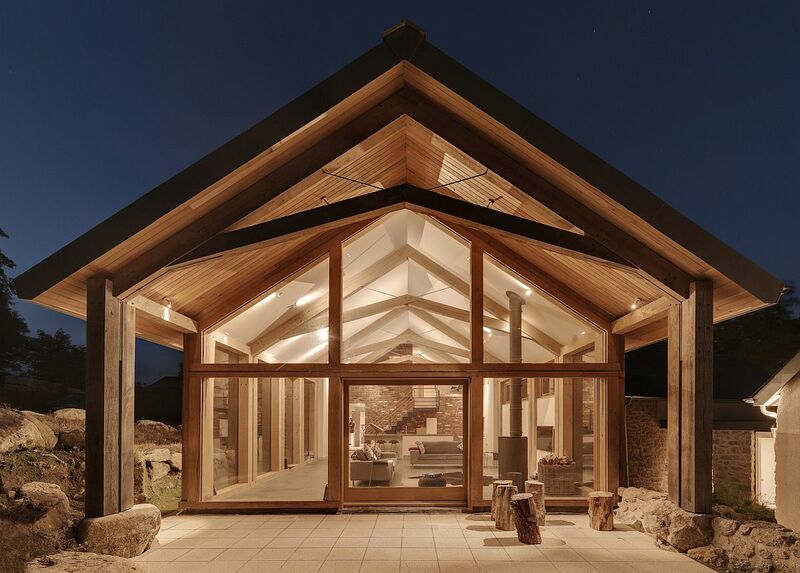 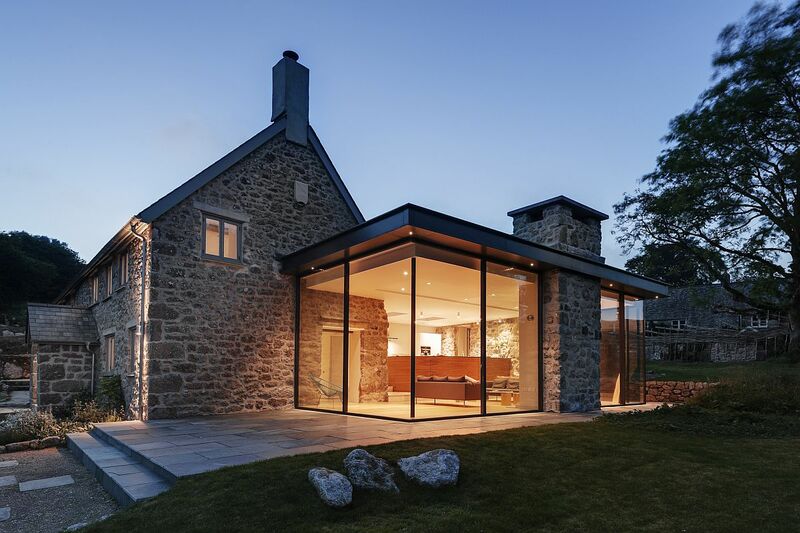 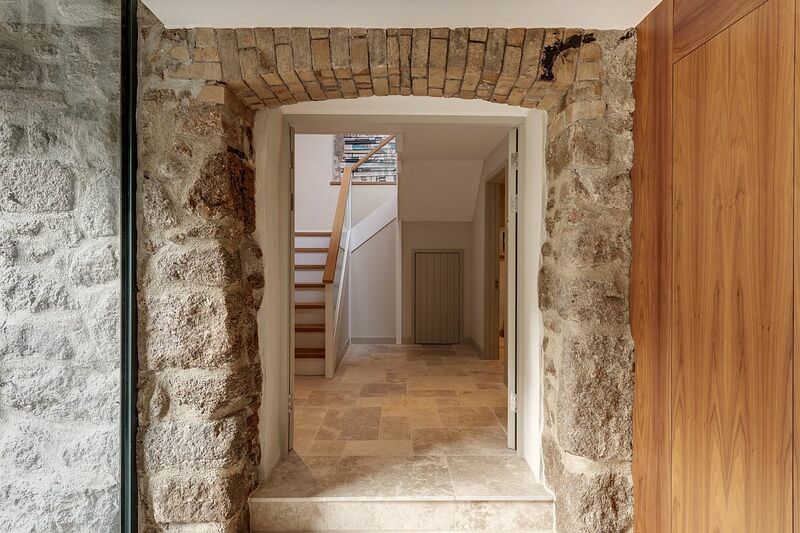 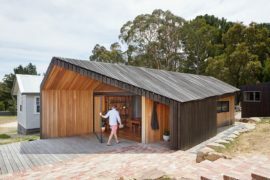 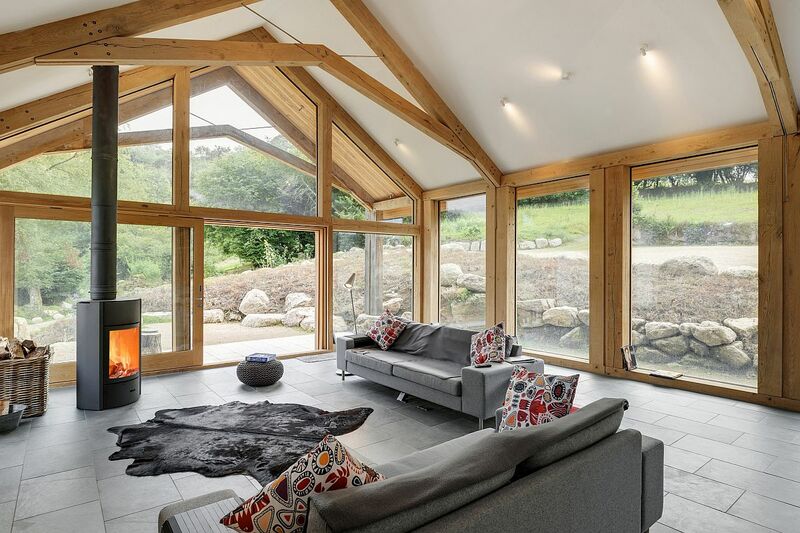 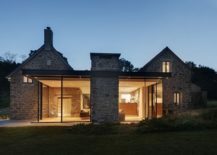 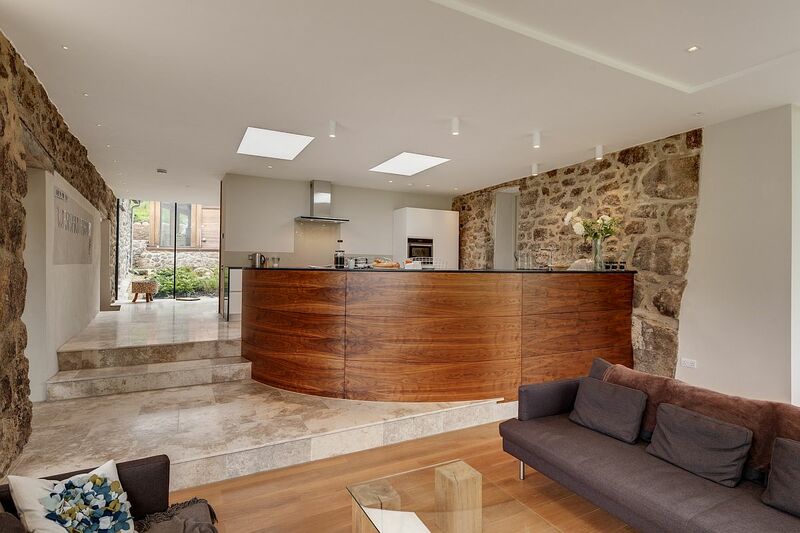 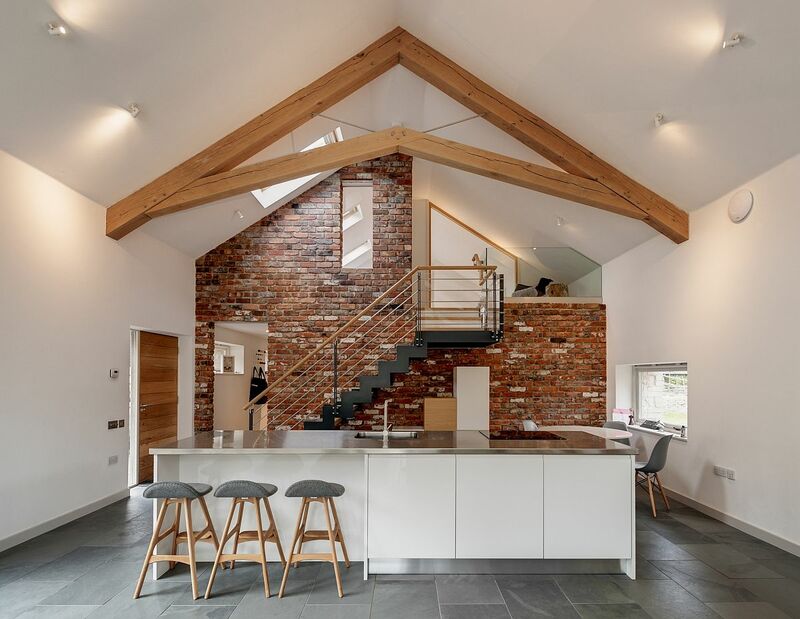 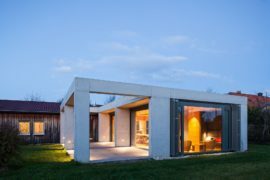 The changeover from the old to the new is stark and yet seamless with the stone walls slowly giving way to large glass walls and a timber structure. 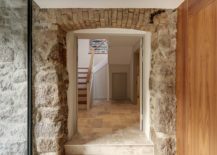 The preserved and enhanced original stone walls seem to transport you back in time even as the refurbished interior in white ushers in modern comfort and aesthetics. 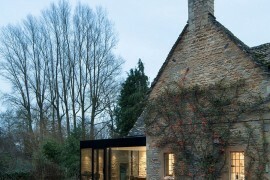 It is a beautiful blend of contrasting eras, with each offering something unique. 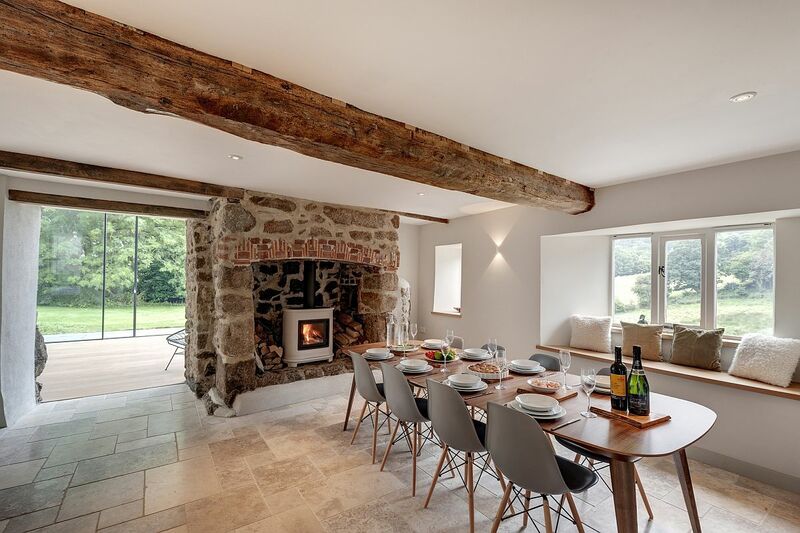 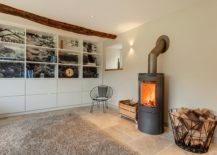 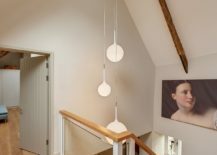 With the latest addition housing the kitchen and the sitting zone, it is the original farmhouse that contains the living area and the bedrooms. 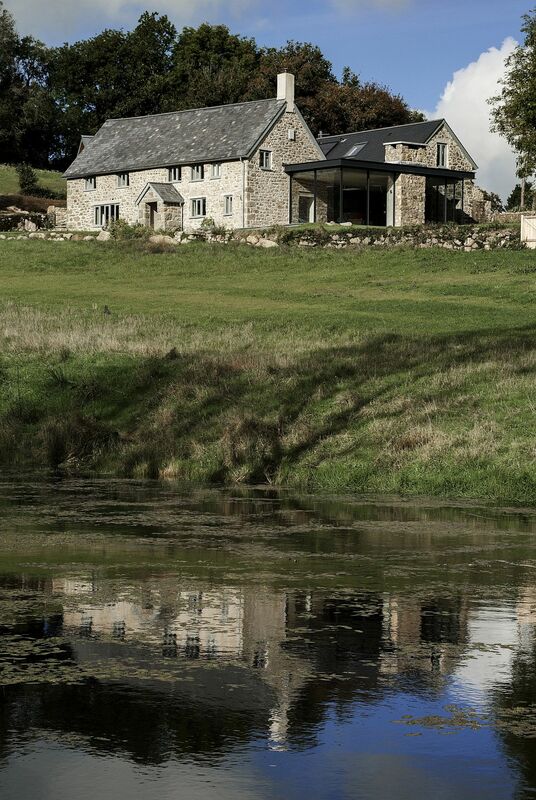 The drainage design combines a package treatment plant with natural reed beds to process foul sewage, which enters the existing stream and pond system on-site. 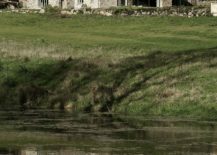 Surface water is similarly discharged into the existing water course, and buffered through a series of ponds and weirs to ease and additional run-off created.